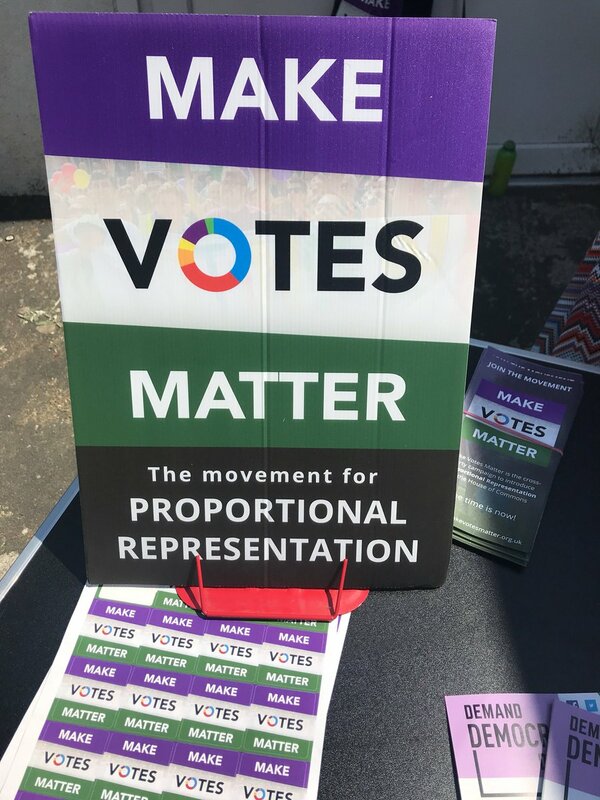 Make Votes Matter - The movement for Proportional Representation is on the move! 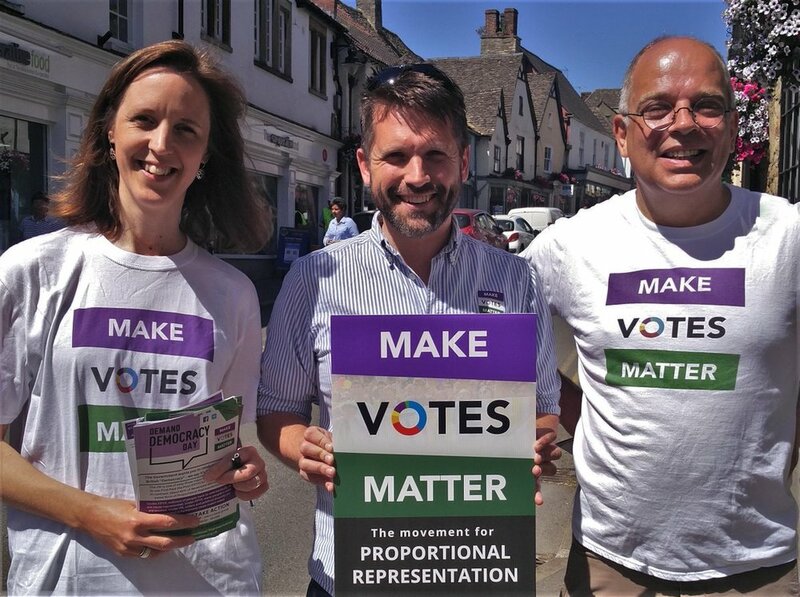 The movement for Proportional Representation is on the move! 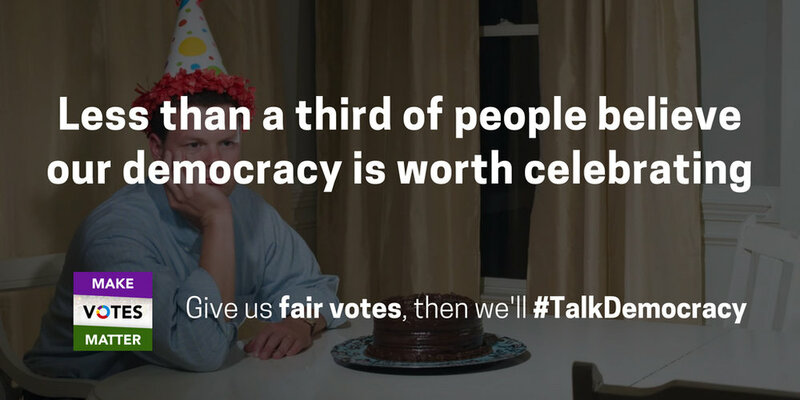 Is the state of British democracy worth celebrating? It depends who you ask. The government thinks it is. So much so that they declared the first week of July to be “National Democracy Week” - a week-long "celebration" of British democracy. Ask the voters and you get a different answer. 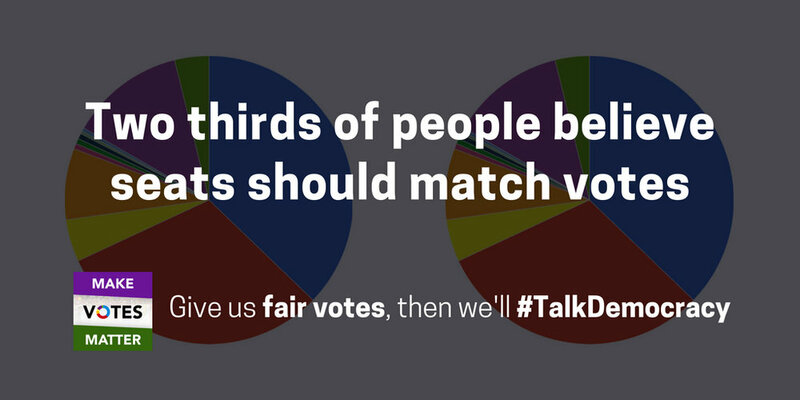 When we polled over 2,000 people, just one in three people said the state of our democracy is worth celebrating. Two-thirds believed seats should match votes, and a majority went further and said the UK should adopt a system of Proportional Representation. Just 13% said they would oppose switching to PR. 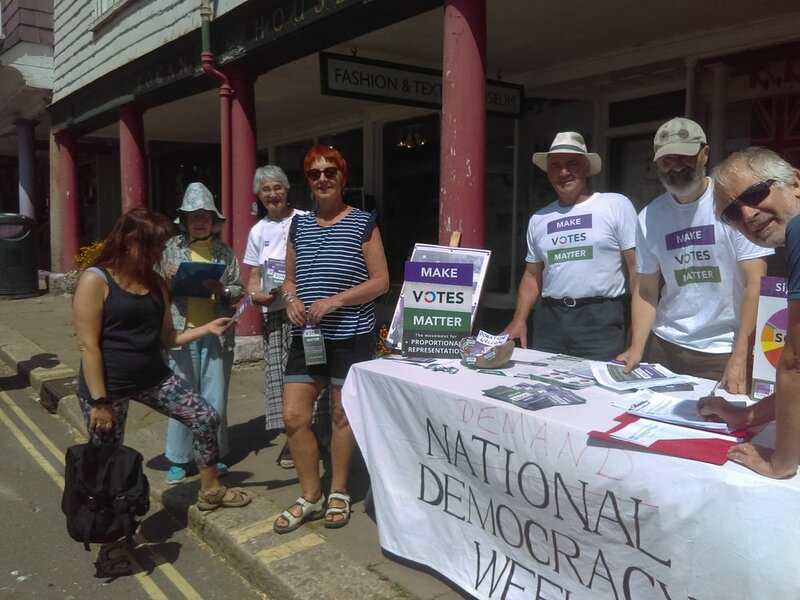 So instead of celebrating National Democracy Week, the movement to make votes matter took action to win real democracy. 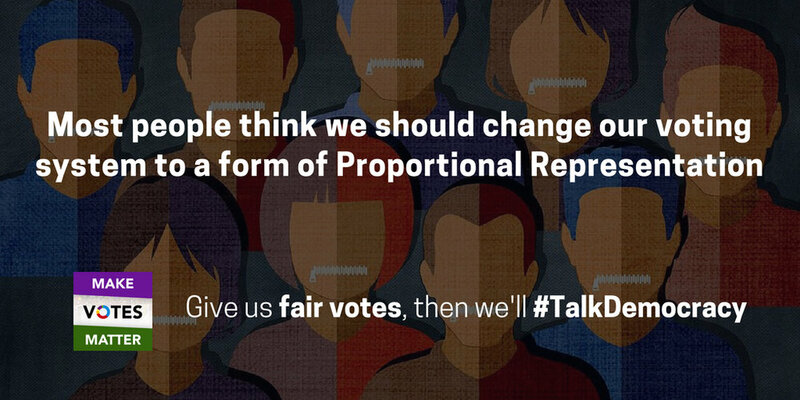 What happened was the biggest mobilisation for Proportional Representation in living memory! Orchestrating such a big, distributed event was a new experience for our team (this was ten times the size of our last action day)! 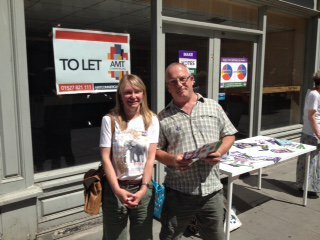 As requests for leaflets, t-shirts, placards and sign-up sheets flooded in, we worked day and night to get materials everywhere they were needed on time and to link up volunteers with their nearest stalls. It was a great learning experience, and we have picked up ideas to make our next action day bigger and better! Materials ready to go out to a street stall organiser for Demand Democracy Day. 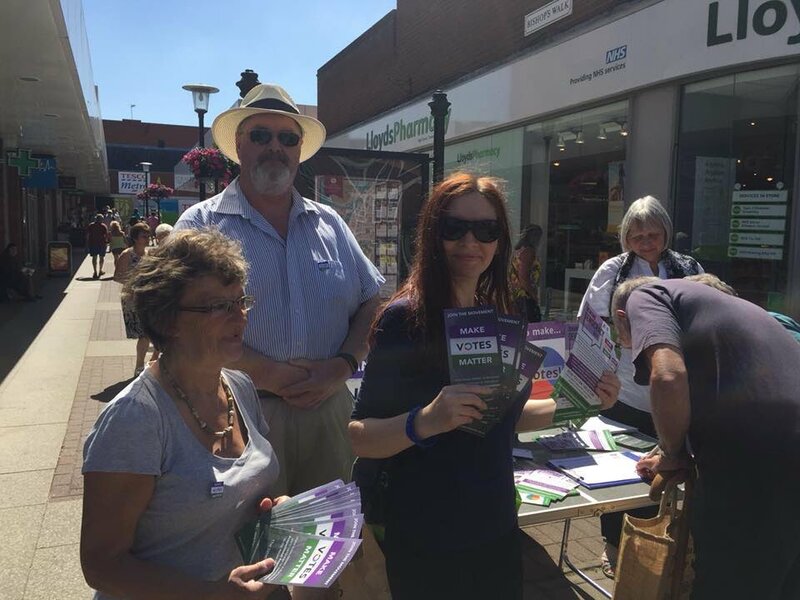 At each of the street stalls, activists were talking to the public about why we need fair votes and signing them up to our new petition to local MPs - already signed by thousands of supporters. 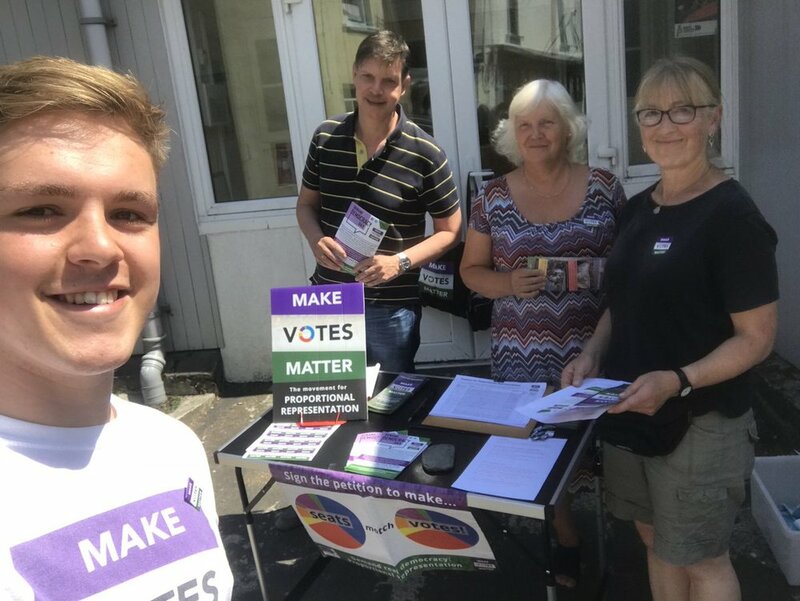 Every one of these signatures is really valuable in putting pressure on our representatives - we’re already seeing them seed more meetings between constituents and MPs to discuss why we need fair votes. 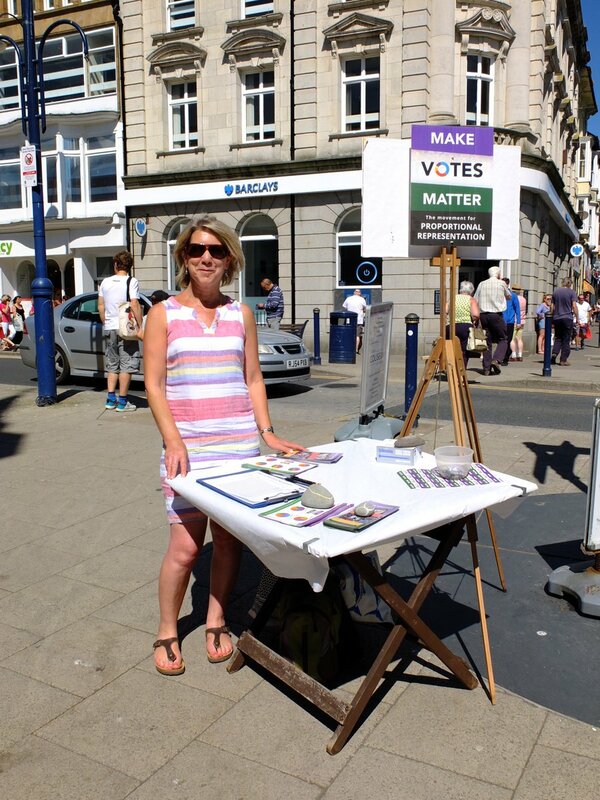 We even had a Make Votes Matter contingent at the NHS at 70 march, taking place the same day! The combination of grassroots people power and the political clout of parties, politicians and public figures is key to our strategy for winning fair votes. Only when those who want real democracy all work together - from the bottom up and the top down - will change come. 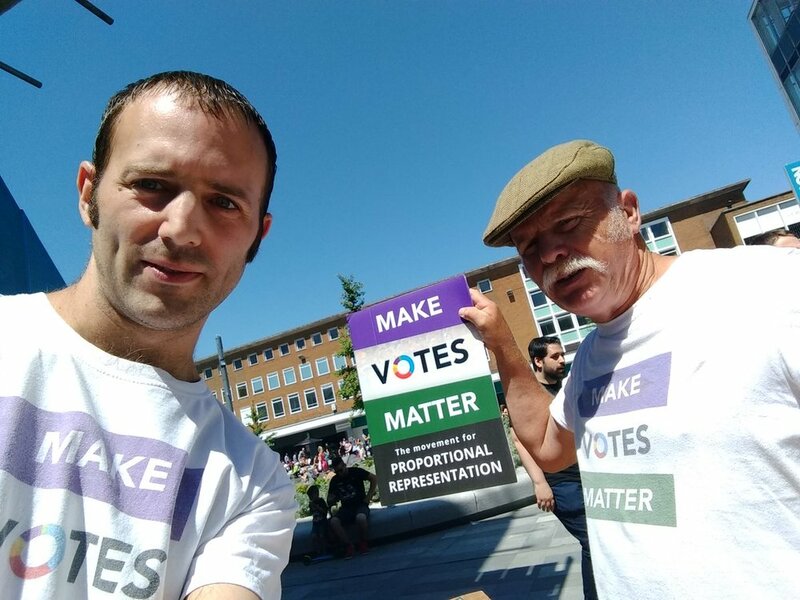 During National Democracy Week, we worked closely with members of the Make Votes Matter Alliance to secure media coverage about the burgeoning movement for PR - highlighting the brilliant work of volunteers across the UK. We were delighted to see so much coverage - in the Guardian, Mirror, Huffington Post, Western Mail, Scotsman and more! Click below to read the op-eds and media coverage gained throughout National Democracy Week! Caroline Lucas MP op-ed, Mirror. 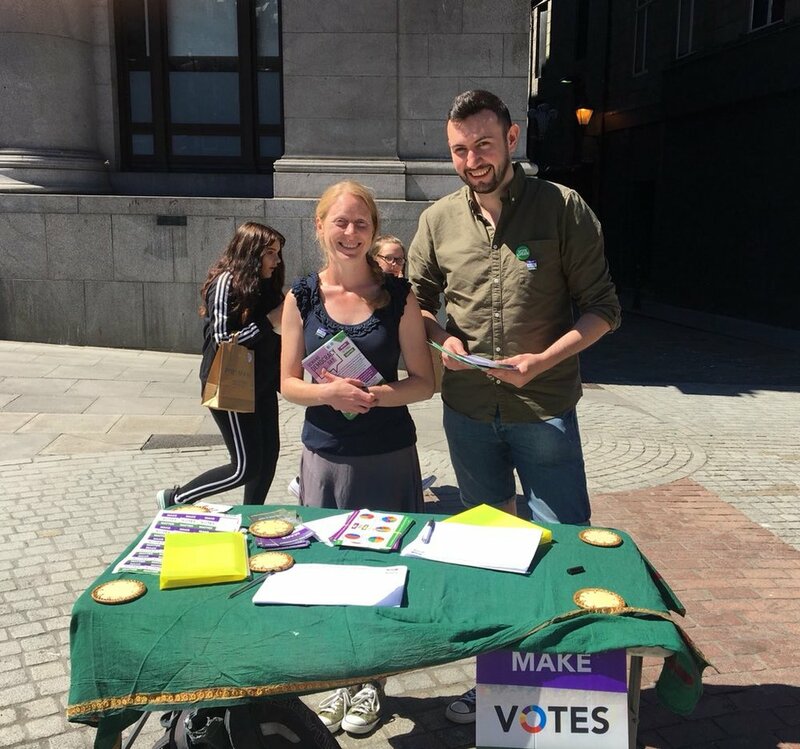 Demand Democracy Day was the biggest mobilisation for PR in living memory and the first attempt to get people everywhere campaigning for a change to the voting system since the 2011 AV referendum. 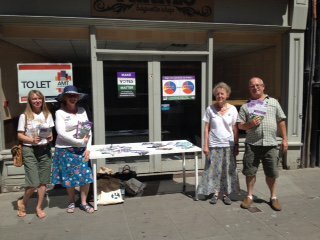 60 street stalls and thousands of signatures is a huge achievement - thank you so much if you were a part of it! But this is just the beginning of what is possible - and what is necessary - if the UK is to win fair votes. Imagine the impact it would have if supporters of all parties and none in all 650 constituencies stood up to demand a Parliament that reflects the people. Imagine how many more of the silent majority - who we know want seats to match votes - would join us when they realise that change really can be won. Imagine how it would strengthen the hands of our allies in Parliament and lay down a challenge to all the politicians who want to keep our broken voting system. 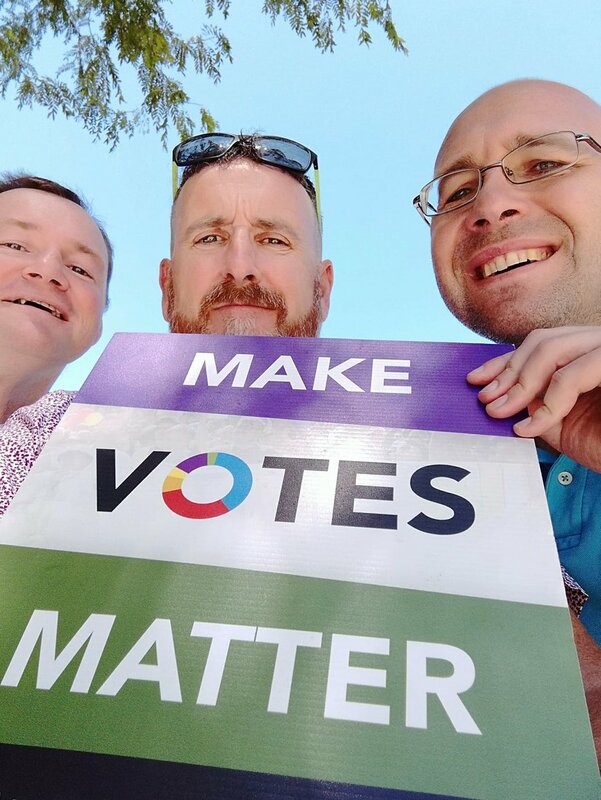 Next week the Make Votes Matter Alliance will meet again in Parliament and plan the next phase of the campaign. We look forward to inviting you to get involved. Want to get more involved right away? 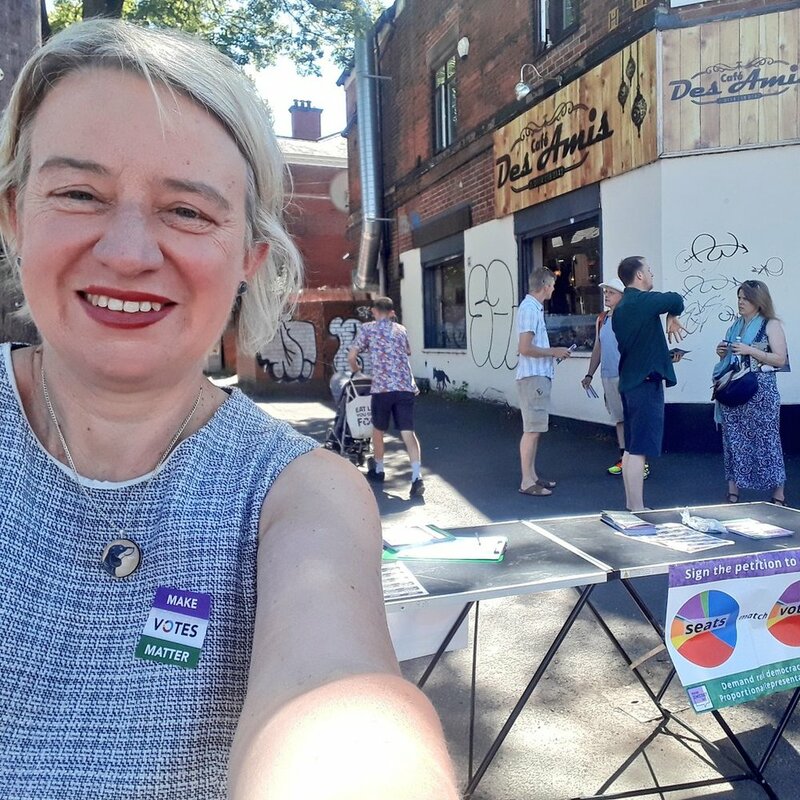 Come to Fair Votes Festival in Birmingham on 21st July to meet other activists, hear from some great speakers, and have a fun day out. Make sure you’ve joined the movement to stay up to date with all our campaign plans - including our next big action day. Get in touch if you want to start a local group to campaign for PR throughout the year. Support the campaign by donating via our website.